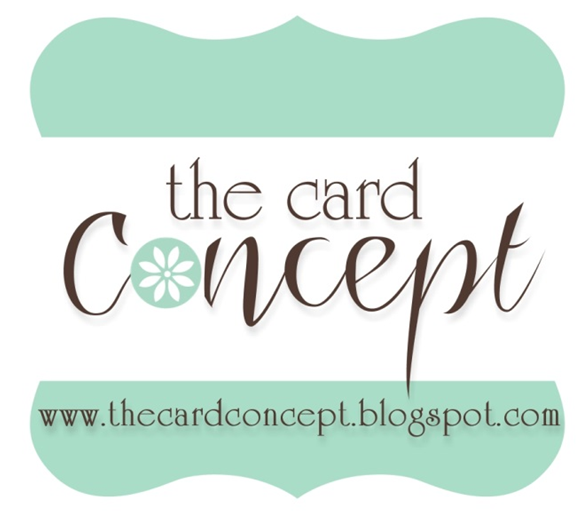 Karen Creates Cards: The Card Concept Challenge 71 - Fresh Flutters. Karen, this is so bright and joyful! 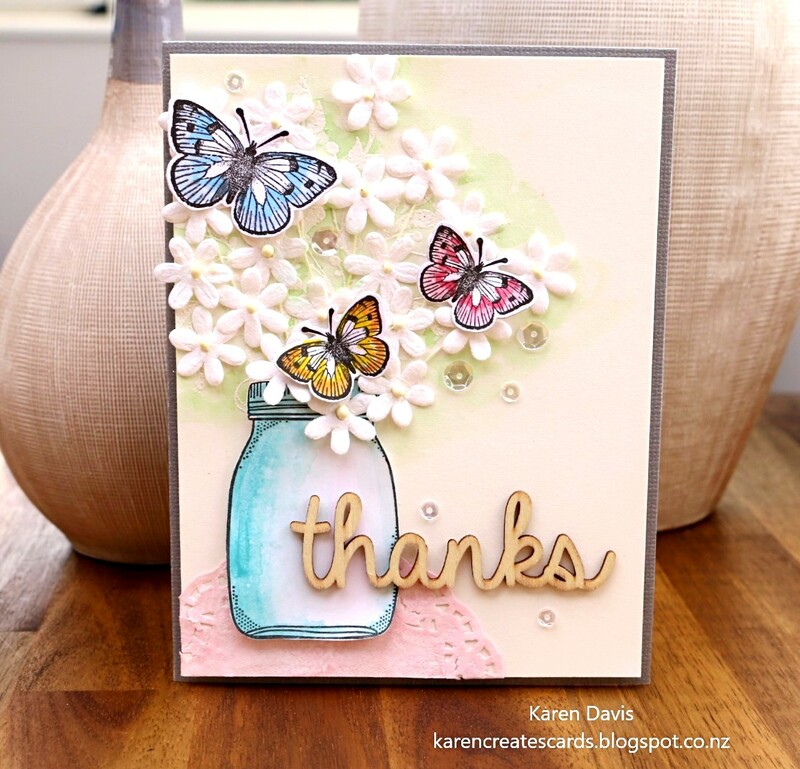 I love the dimension of the little white flowers and the detail of the butterflies! Really creative and bright! Wow, Karen- this is amazing!! 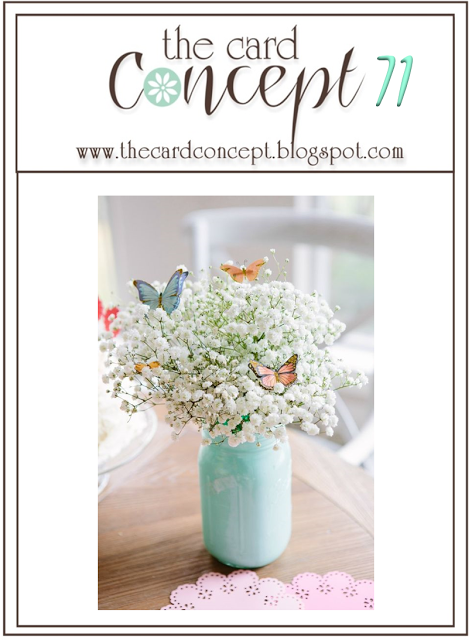 Love the flowers, the sweet butterflies, the gorgeous jar, wooden sentiment- well, just all of it!! Thanks for inspiring all of us and I hope you have a wonderful Easter week! 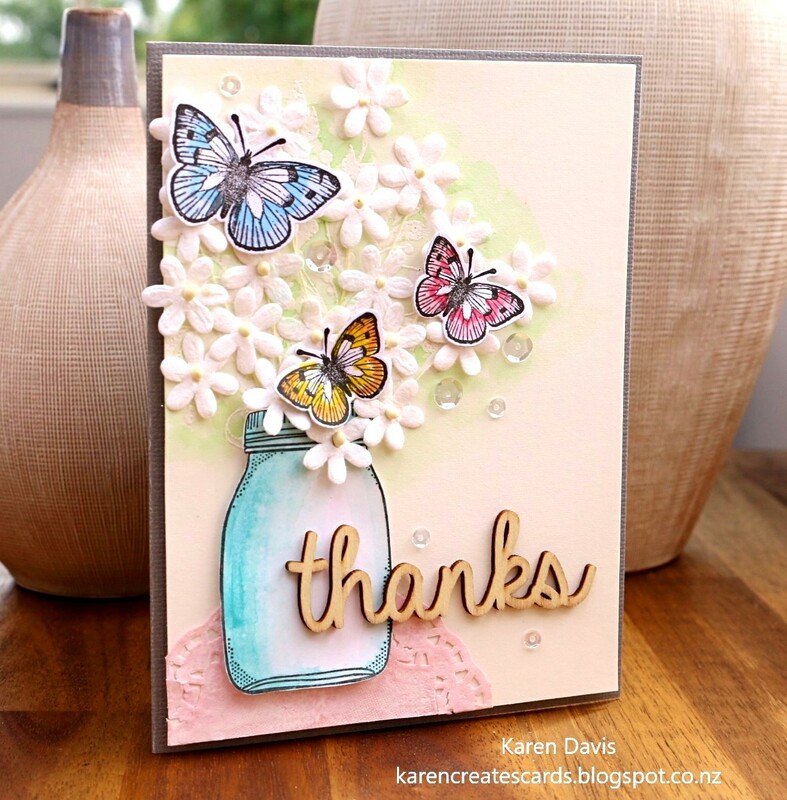 Such a pretty card and I love all the different butterflies that I am seeing today! This is so pretty, Karen and a perfect representation of the challenge photo! Gorgeous texture and detail! Its blended so beautiful and because you used this butterfly I dont want to copy this I choose the other one that look to left side..yes I love love this Hero arts set too..
and your JAR coloring wooowza I LOVE!! I should see your blog more often..